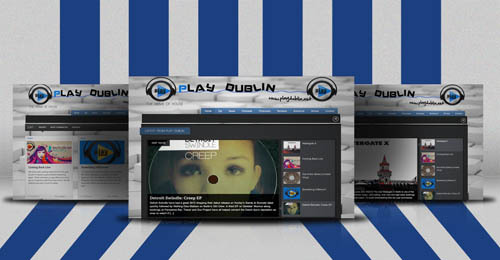 We have just spent the past few weeks completing a re-design for the new Play FM Dublin website. We were really pleased to be involved in this project. Play is one of Ireland’s leading online radio stations and with a new change of owners came a new website and new graphics. The new owners were looking for a site that was feature rich to give visitors as much interaction as possible. The site is front end and back end designed with an easy to use content management system. There is a special code written for new releases which will be unique and original exclusively to the Play website. We installed a bunch of media players and there is tons of music to listen to on site from its many different shows and producers. The site is clean and smooth design and built responsive for tablets, smart phones etc. Like all our sites the Play site has been tested on all major browsers for comparability. We expect huge traffic to the site as we have done some extra work on SEO. There is a built in advertising feature to the site which has not been unleashed yet but is coming soon. We will be heavily involved with the development of the site over the next few months and we have already had lines of inquiries from other online radio stations for quotes and advice. From all the quotes the owners received we came in with the best quote and as you can see that did not effect the quality. We wish the new owners of the radio station all the best on there endeavors and we hope to be involved with them for the next few years.